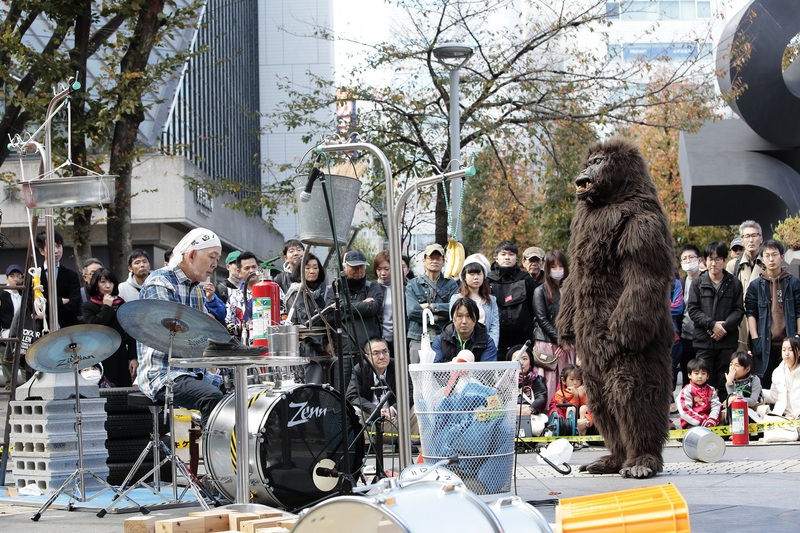 Continues in case of rain but the venue may be subject to change in case of stormy weather. 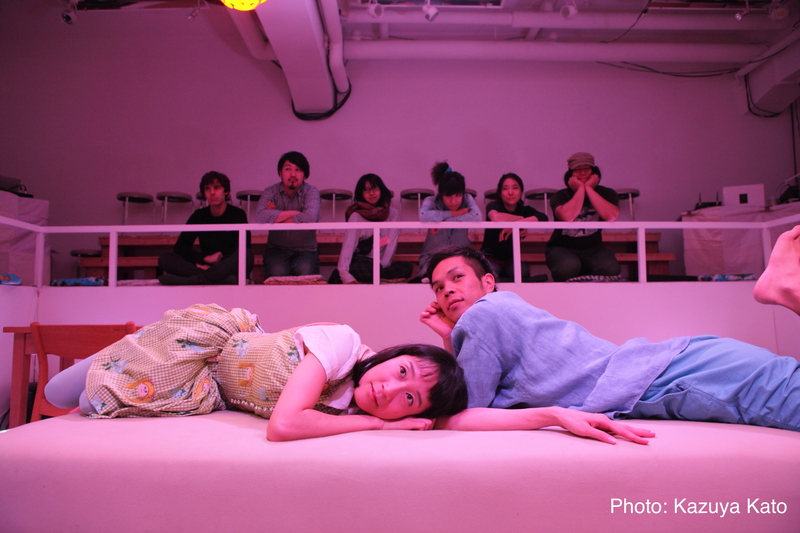 No audience seating. 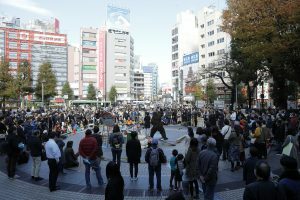 Standing only. In the urban jungle, a dancing gorilla questions the nature of humanity. 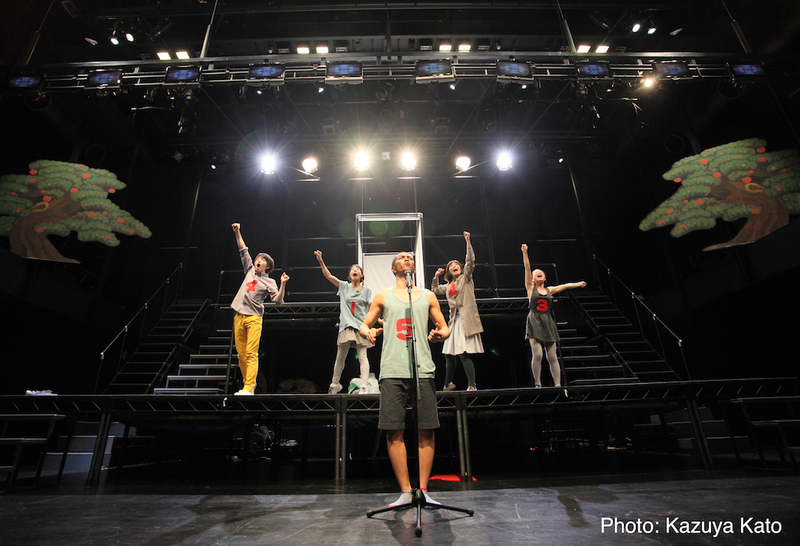 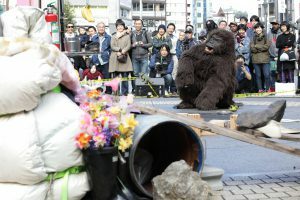 The theatre group FAIFAI has continued to develop a unique style of cutting-edge performances, filled with humor and socially aware messages. Following its memorable appearance at F/T09 Autumn, FAIFAI‚Äôs gorilla character makes a welcome return to the festival. 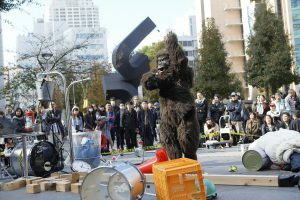 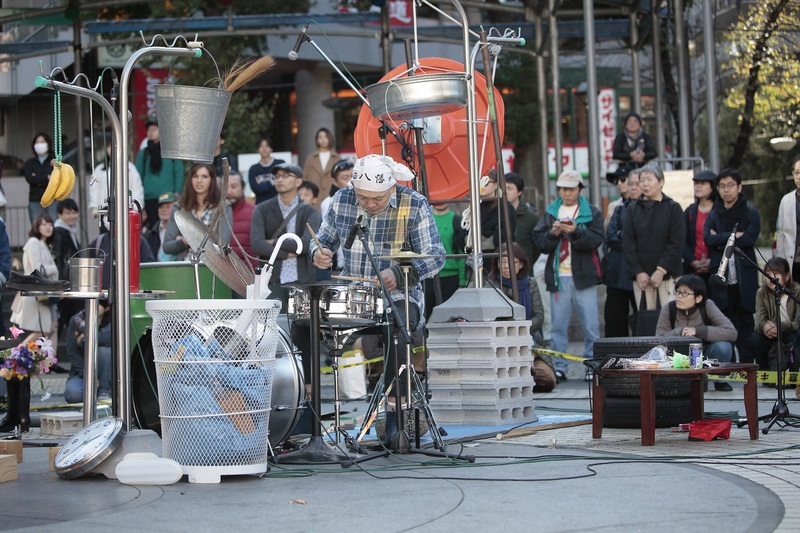 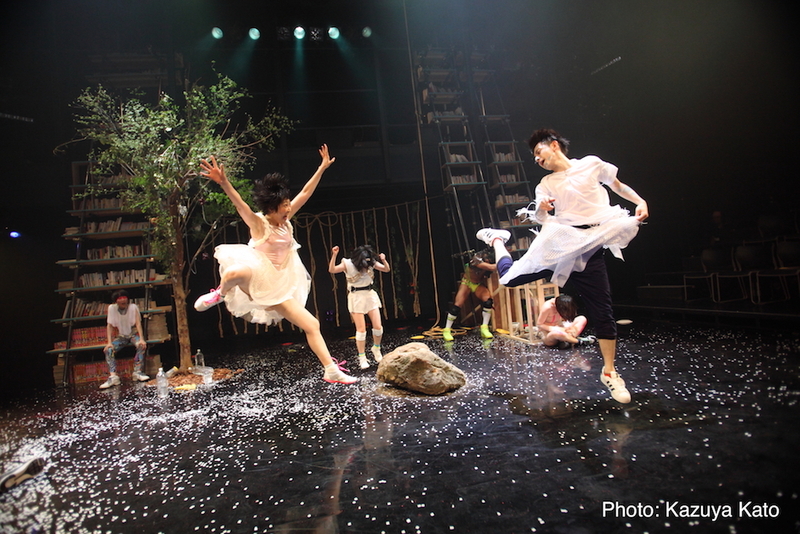 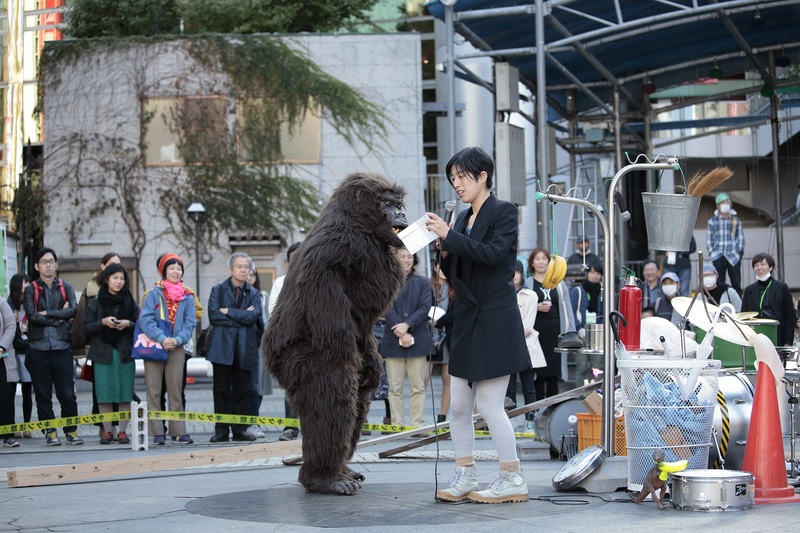 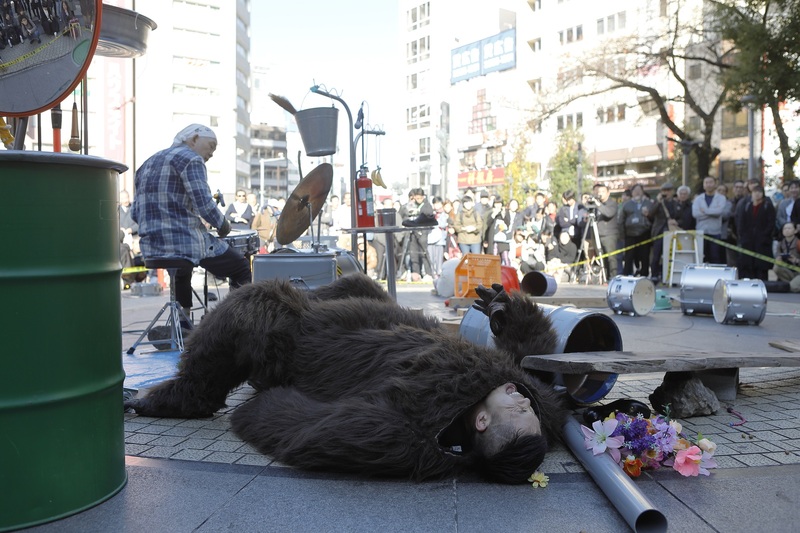 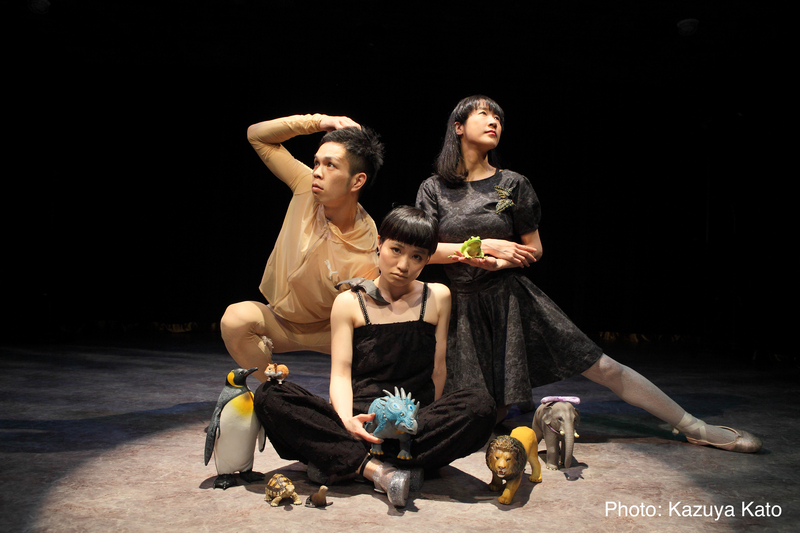 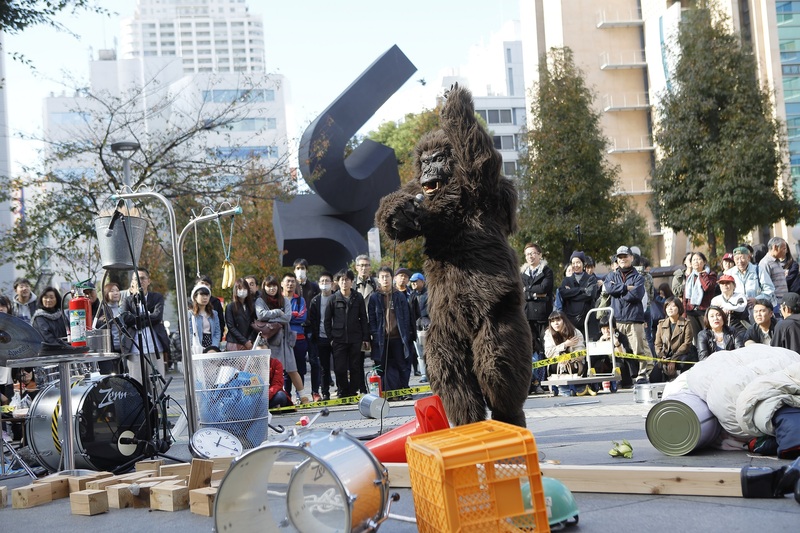 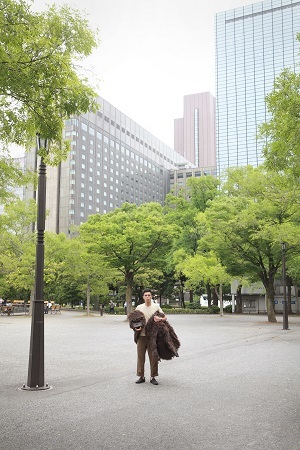 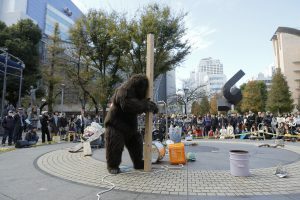 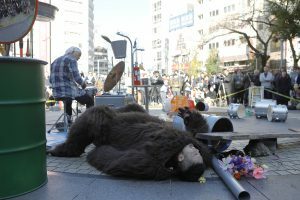 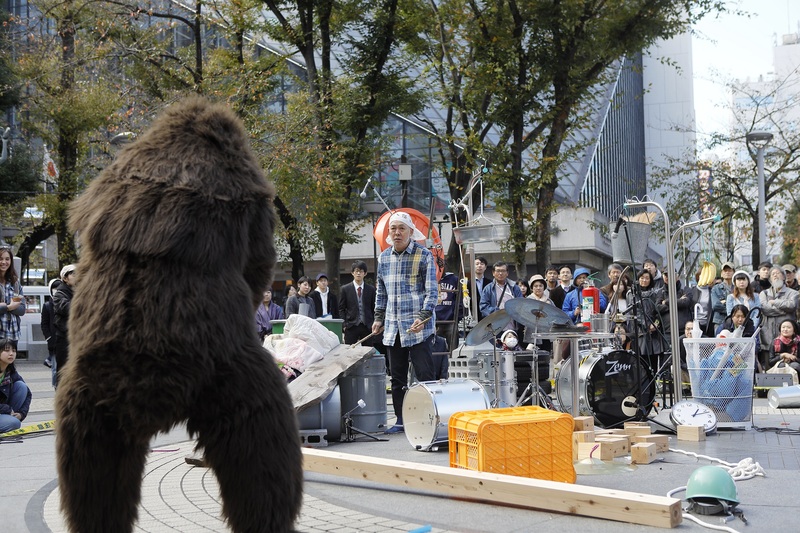 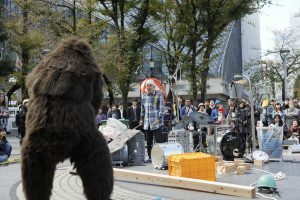 This time, the gorilla will dance in a park in Ikebukuro. 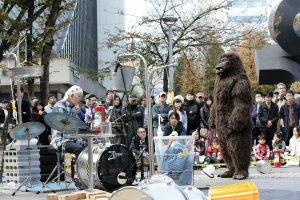 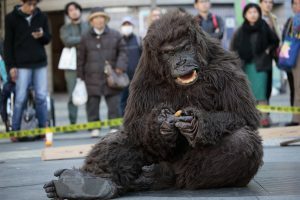 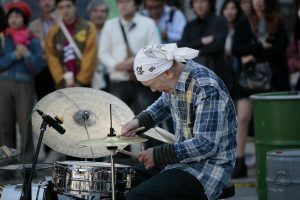 As the live music grows more impassioned and aggressive, the behavior of the gorilla performer will gradually reveal enlightening truths about the human body. 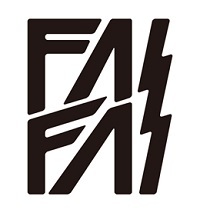 Formed in 2008, FAIFAI is a creative unit employing a range of novel pop styles to tackle the complexities of reality and the media today. 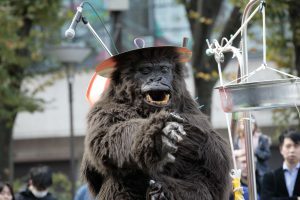 With “My name is I LOVE YOU” (2010), FAIFAI became the first Asian winner of the top award at Z√ºrcher Theater Spektakel. 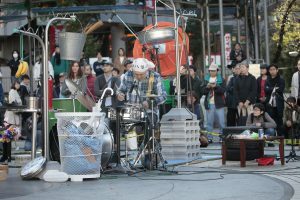 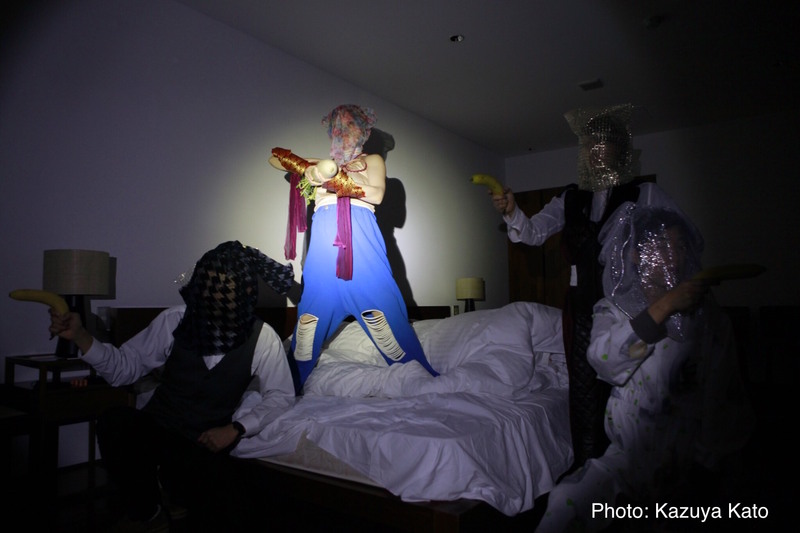 Its recent “CATFISH” (2017), which was performed in a hotel suite, also attracted attention.